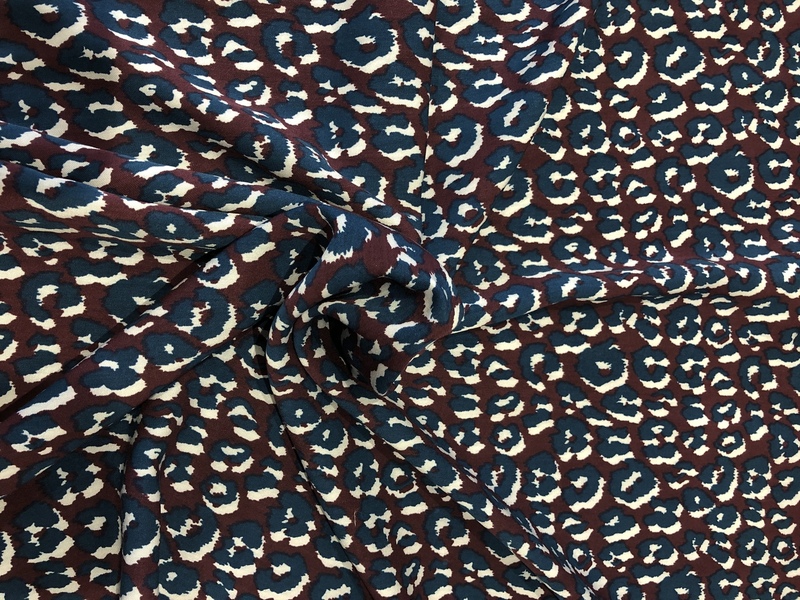 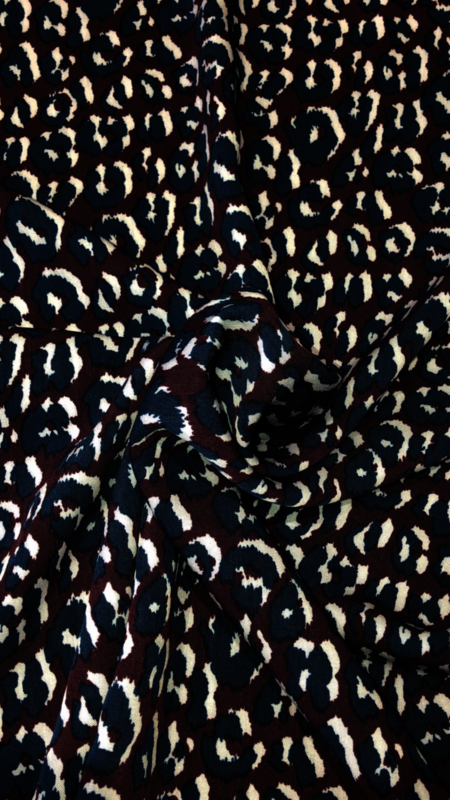 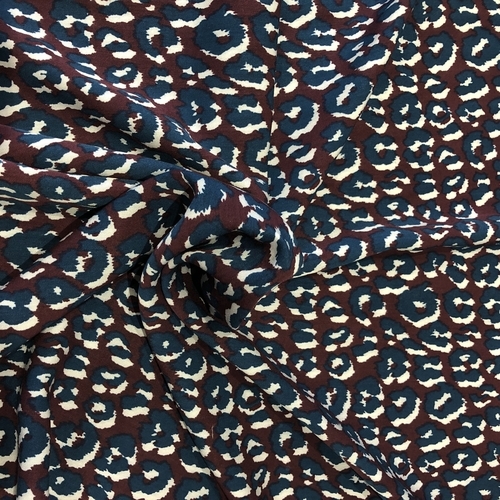 Introducing our Animal Print Wine Viscose Twill! 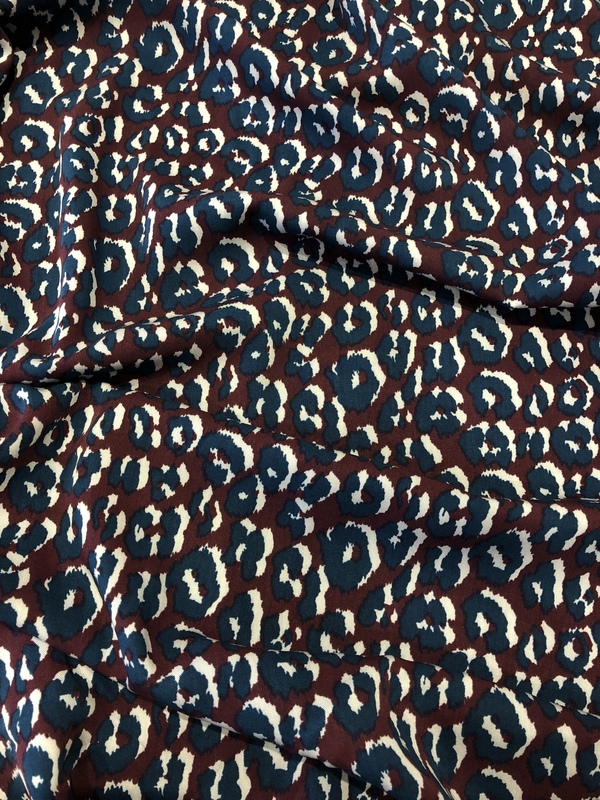 Blue and White Animal Print on a Wine Red background. 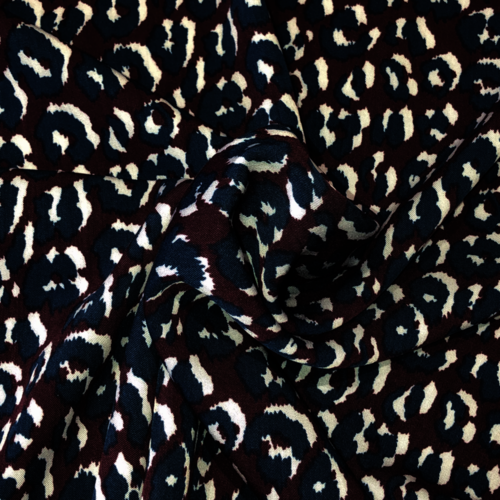 This incredibly versatile Viscose, would make lovely, Tops, Skirts, Dresses, Jumpsuits, and Relaxed Trousers. 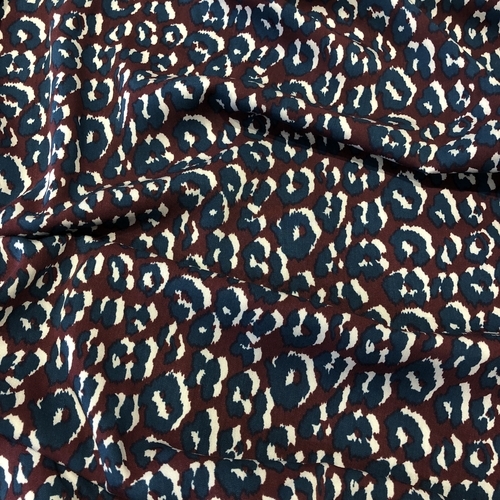 The selvedge is thicker down one side of this fabric, so is a little wider than the 140cm stated and the useable fabric width is 140cm.